Want something new and exciting? 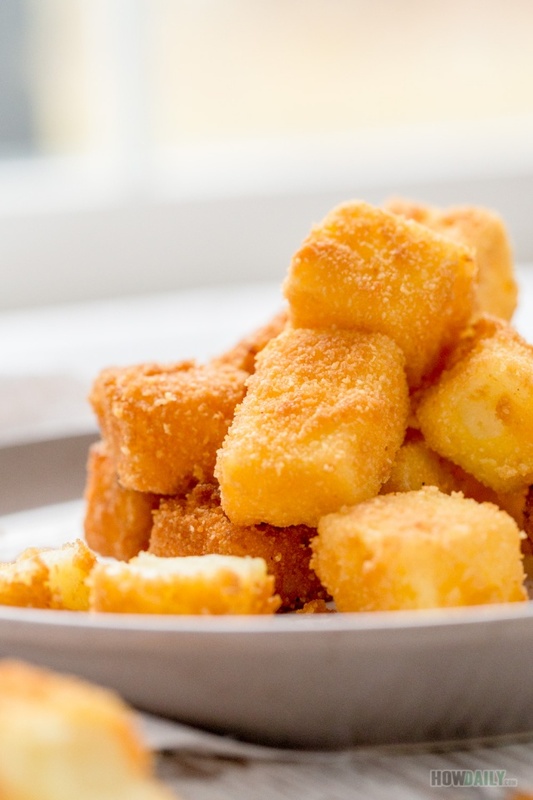 Give this fried milk a try if you have never heard of it before. 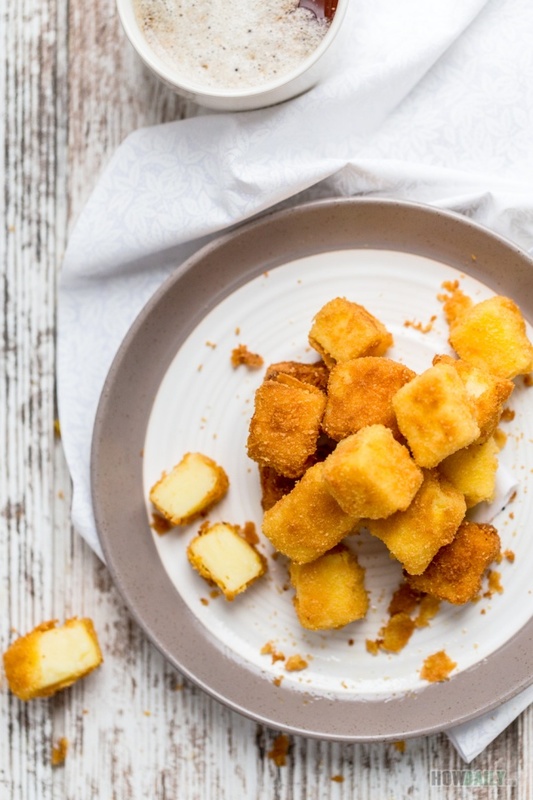 This is one of the most inviting yet delicious snacks for both the kiddo and grow-up. As the name implied, this is definitely not the go-to for dairy sensitive or dieter, but it sure does give a twist to the rest. You could always modified and substitute for the non-dairy version, with include almond/coconut milk, cream, and egg-free ingredients. The flavor and scent won’t be the same but still produce fabulous snack. The nice thing about this is, each cube is so crispy and inviting. To achieve this, make sure the re-grind/mill your bread crumbs, to make the outer coat more uniform. The inside filling should be more runny when hot making it so tasty just like those cheese fritter. You could add extra flavor or herb to variate the recipe a bit, a few drop of citrus like orange would be awesome as well. Oh, and don’t for get that cup of tea! Separate 2 yolks from their whites. 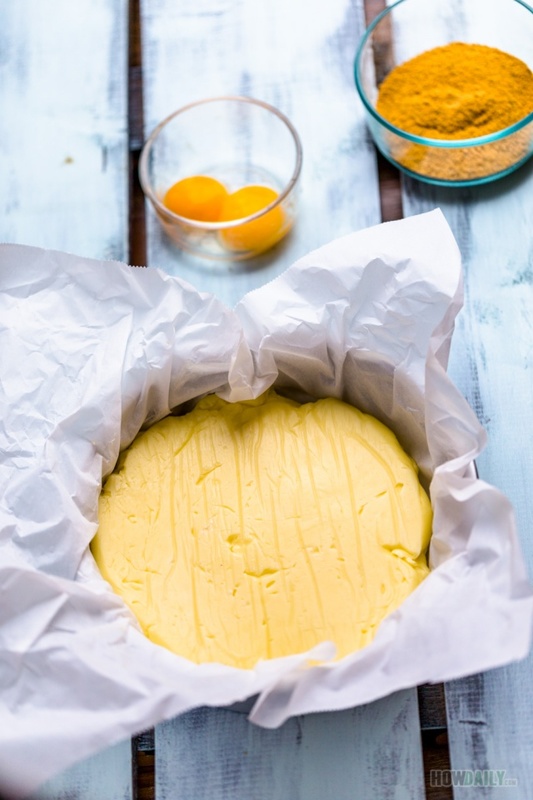 Fluff 2 egg yolks till color change, add sugar, beat some more to mix. Now turn to stir or the slowest mode while adding in 1 1/2 cup of milk. 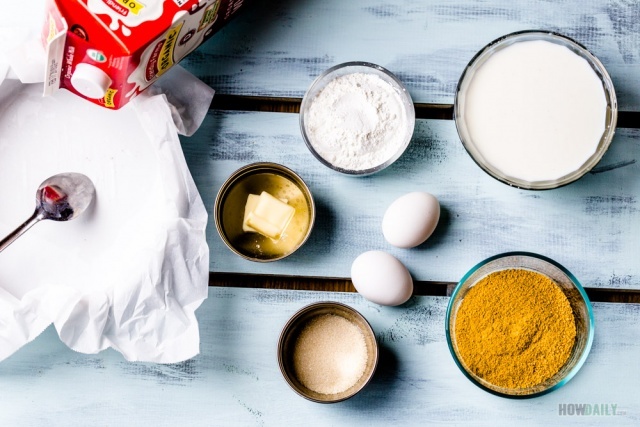 In another container, stir to fully mix 1/4 cup of milk with 1/2 cup cornstarch, make sure it is free of clumps. Use a wide sauce pan or wok on medium/low heat, pour the liquid milk/egg into this sauce pan and heat until hot. Do not boil, keep stirring to prevent overflowing. Add butter to pan then stirring constantly while adding the milk/starch mixture. Keep stirring (use a balloon whisk might help) to prevent sticking to the pan bottom. Stirring in circular motion, fold and repeat until it is solidified into custard-like thickness. Carefully spoon into you mold, use the back of your spatula to spread and even them out. Let sit to cool off at room temperature, then chill in your fridge for 2-3 hours. 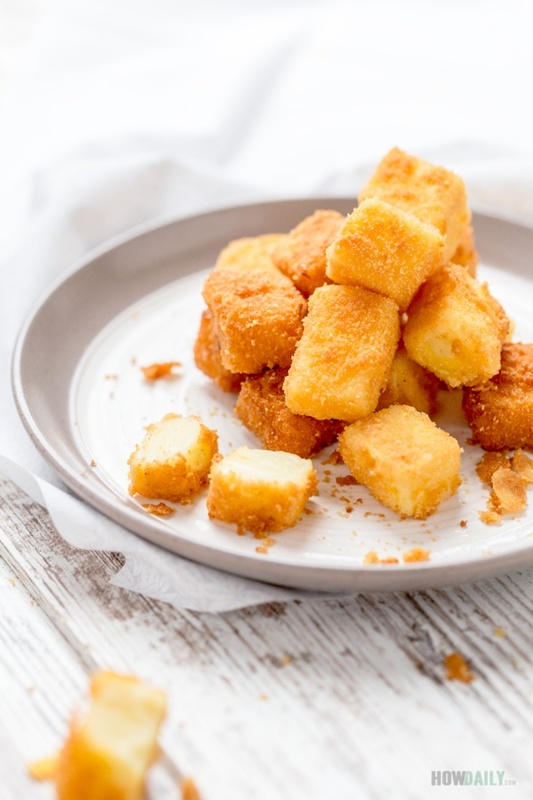 Once the milk custard is hard enough, remove from mold and cut into desirable/bite sizes, for example cube or use mini cup cake mold to avoid cutting. Add bread crumbs into food processor/mill and finely process them. Add a pinch of salt and pepper if you like too. Remove any uneven or bubbling surface, carve them if you want. 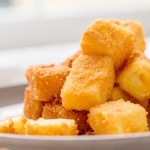 Gently, with your fingers, dip a milk cube into egg yolk then roll several routes inside breadcrumb to ensure full coverage. Repeat with all other pieces of milk custard. When finished, deep fry them all.